A refreshingly crisp design, the textures in this composition make it very unique! 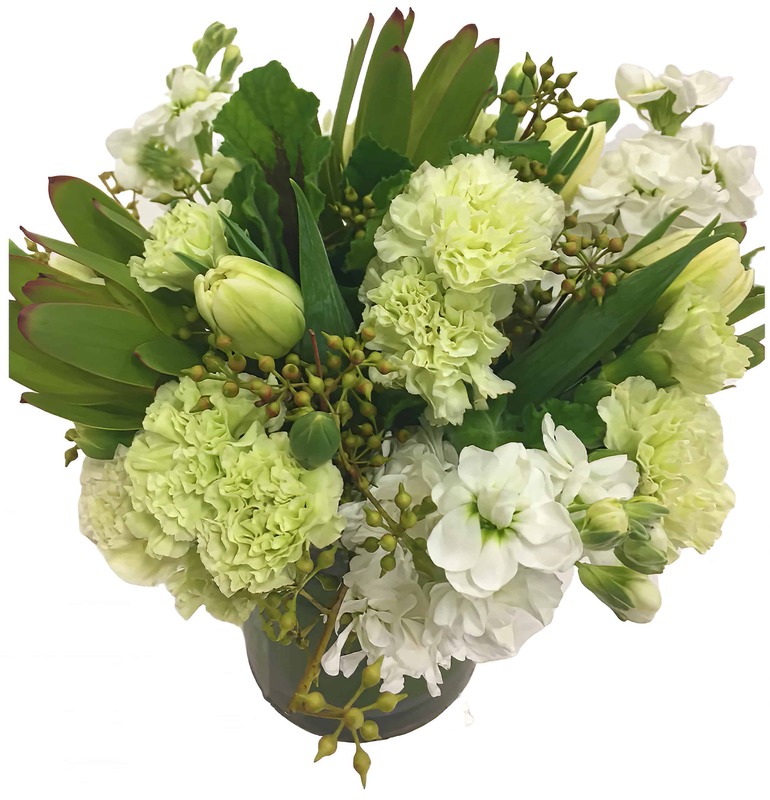 It's bursting with Brasilia, Leucadendron, Carnations, Stock, Tulips and more! Depart from the ordinary with our Lemon-Lime Spritzer! It's monochromatic color scheme make it the perfect gift for him or her and allow it to easily match any decor!